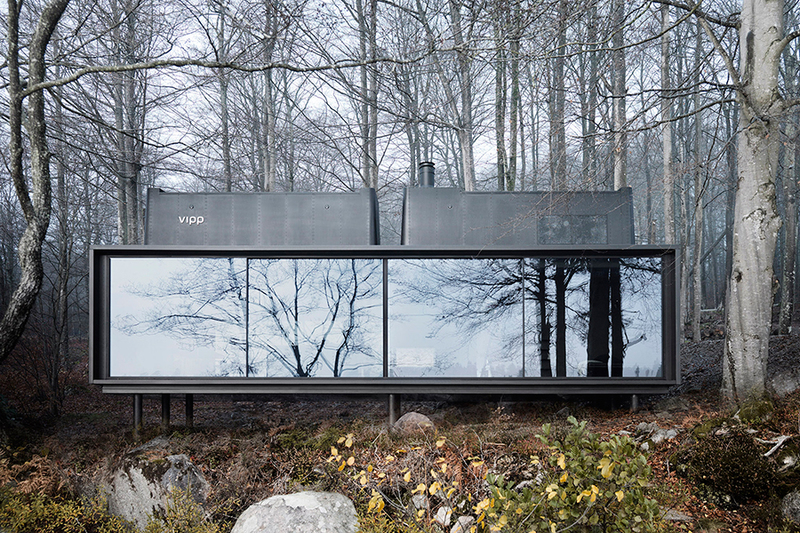 Operable exterior walls strengthen the link between architecture and landscape by selectively erasing portions of a building. Whether they’re swinging, sliding, or pivoting, these dual-purpose panels expand the possibilities of design. 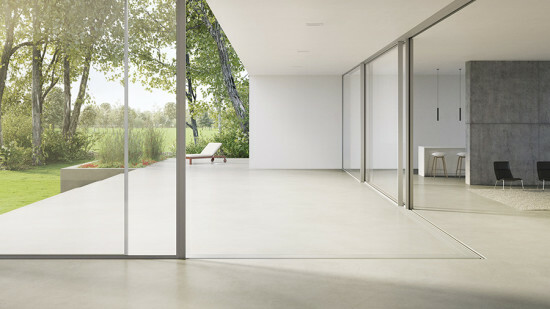 With only 3/4″ vertical sightlines for dual-glazed sliding doors, the Vitrocsa system creates an almost invisible wall that can be opened and closed. Available as sliding windows and doors, fixed windows, vertically sliding “guillotine” windows, and pivoting doors. Compliant with Dade County hurricane impact standards. A variety of sill options are offered, including a standard weather resistant sill, flush guide sill for smooth floor-to-floor transitions, and an ADA-compliant sill for both interior and exterior applications. Low-profile rolling hardware ensures smooth, quiet operation; stainless steel wheel options available for all doors and standard for larger systems. With both pocketing and non-pocketing applications, the multi slide panels can stack flush against one another or slide into the wall, completely out of view. 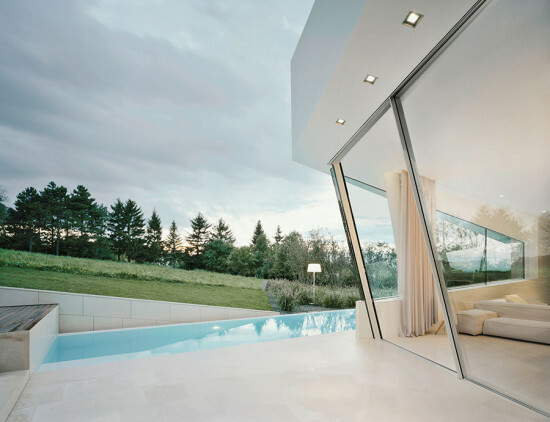 The Slope sliding windows can be installed with an inward or outward inclination, generating a distinctive spatial geometry. The bearing assembly is able to accommodate all vertical and horizontal forces, achieving superior running performance. Regardless of inclination, the system drainage meets all driving rain resistance requirements. Designed with narrow stiles and rails, this new door comes in a variety of configurations and large sizes with standard widths up to 50 feet wide and 12 feet tall, offering the ultimate in design flexibility and unbelievable, wide-open views. 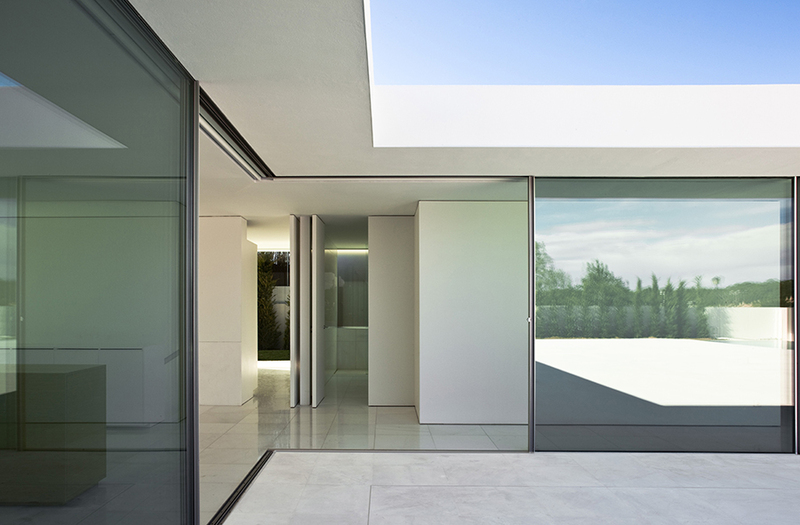 Concealed aluminum frames facilitate large openings while preserving architectural purity. Single glass panels can measure up to 19.5 feet tall and 13 feet wide. 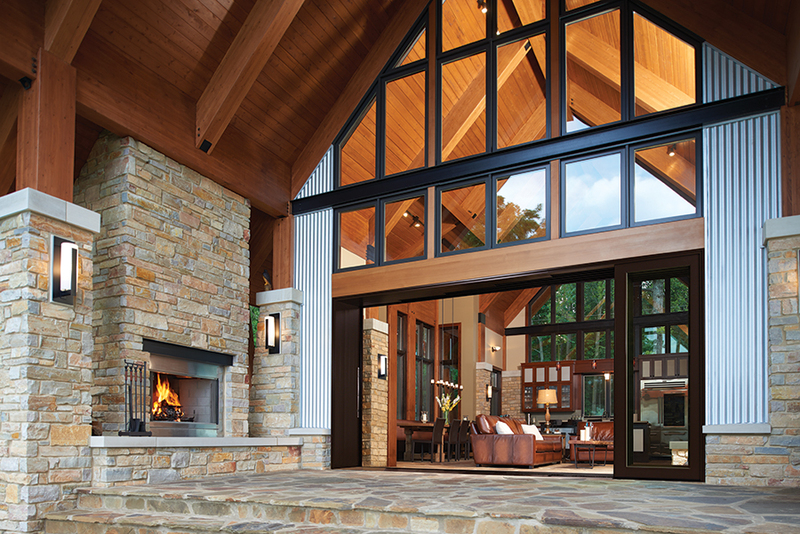 Available in manual and motorized versions, and for insulated and non-insulated glazing. Offering excellent thermal insulation and watertightness, these fully-opening casements feature a ¾-inch visible profile. The maximum area for each glass panel is 195 square feet; maximum height is 19.5 feet.